Every year Keller Williams agents around the world give back to their communities on the second Thursday of May! We stop business to make sure that our community knows we care and 2017 was an incredible one! This year, Keller Williams and many vendors donated their time and resources to remodel many areas of the Springfield Dream Center. The Springfield Dream Center is a non-profit that provides MANY different services to help bridge gaps for families in poverty. It helps connect people to the resources and tools that they need to live a happy and prosperous life through learning. Our major focus this year was to make sure that the kids who come to the Dream Center had a safe and fun environment to learn and play while their parents work or take classes. Find out more about the Springfield Dream Center and how you can volunteer at www.springfielddreamcenter.com. On May 11th, 2017, 130 Keller Williams Associates and Vendors got together to renovate the Springfield Dream Center! Located in Zone 1, the Springfield Dream Center offers resources that provide "help for today and hope for tomorrow" (AFTER SCHOOL PROGRAMMING, ADULT EDUCATION, A FOOD PANTRY, ADDICTION RECOVERY AND MUCH MORE)! We renovated the children rooms, offices, hallways, stairwells and dining room so that families have a great place to DREAM BIG! We can't wait to share the recap video with you very soon! Go BLUE for Child Abuse & Neglect Prevention Month. On October 28, 2016 Harmony House held a public awareness event called “iCare.” Businesses and individuals raised awareness and money to provide more aid to those affected by domestic violence. Republic Middle Schoolers have started a "kindness" movement at their schools called SPARK (Students Performing Acts of Respect and Kindness). Republic School District provides food through the "Backpack Program" for families in crisis. The Backpack Program is when the students in need go to fill their backpacks with food to last them for a weekend. The students of SPARK make encouragement bags for all of those is need, so that they feel encouraged and not embarrassed. This idea is spreading to the grade schools and other school districts! Want to know how you can help or how you can start something like this in your school? Just email Kaci at sparkleaders@outlook.com for more info. The smallest "SPARK" of kindness, makes all the difference! Since we posted Mark's amazing story, many people have donated items and sent words of encouragement. You have also asked how Mark is doing. Well, we are excited to tell you that he is doing really well! Mark wanted everyone to know some of the big needs for places that help the homeless. Basic things that we need like food, water, shelter and clothing are fairly obvious. Other things that help are bicycles, bus passes to get to and from work and even money for government identification so that they can apply for jobs. Thank you to all of the organizations that help people in need! With so many negative things that happen right before our eyes through the media, we decided to begin a step in the "positive direction!" Share this video and we dare you to show love to those around you too! You won't regret it! Keller Williams Realty of Greater Springfield annually participates in our companies RED DAY. This year we chose the Victim Center of the Ozarks as our charity. It was a powerful day of remodeling, painting, fixing, sweating and energy as we transformed their facilities. Without you and your efforts, Red Nose Day would not be able to make such a big impact. You and the nation came together to raise over $31.5 million and donations are still coming in! We are incredibly grateful. Half of the money you have raised for Red Nose Day will benefit children who are most in need in America and the other half in the poorest communities around the world. All our efforts are focused on keeping kids safe, healthy and educated. Until June 30th, you can easily deposit any remaining FUN-raising funds into your CrowdRise account. Once again, on behalf of Red Nose Day and the kids whose lives will be transformed by your efforts, we sincerely thank you. Sharing a laugh brings people together." 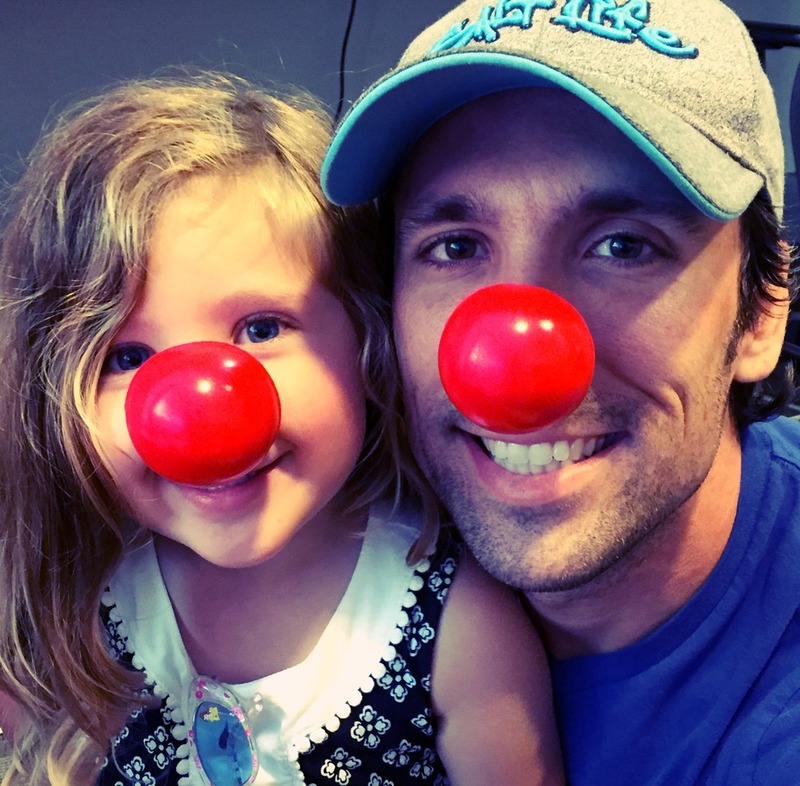 Red Nose day is coming up on May 26th and the Zach Riggs Team challenges YOU to wear your nose and give to kiddos in need! People from all over the country are wearing their noses that day to support love and laughter and helping children through all of the proceeds raised from RED NOSE purchases! We have some here at our office so let us know if you don't have one! TV stars are joining together for a Primetime event on NBC at 9/8c for laughter and awareness too! Click the link below to go to the official Comic Relief Red Nose Day webpage and promo videos. Learn even more about Red Nose Day! It's only $1 for your RED NOSE! "Laugh. Give. Save a kid." Just want to donate? Click the link below!